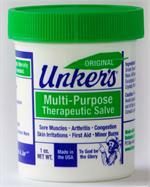 Smiths Famous Rosebud Salve has had the same great formula since 1892. From moisturizing lips to soothing diaper rash, Smith's Rosebud Salve is a handy medicine cabinet ointment to keep on hand. Rosebud Perfume Company's Mocha Rose Lip Balm and Salve infused with mocha, chocolate, and vanilla for a wonderfully scented, moisturizing salve. 0.8 ounce metal tin. An updated combination of the classic Rosebud Salve with a hint of mint. Made in the USA. Brambleberry Rose by Rosebud Perfume Company, may be used as both a lip balm and body balm. 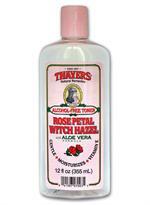 Experience the exciting aromatic and moisturizing effects of "Brambleberry Rose" by applying it topically to chaffed and dry areas of your body. This beloved multi-purpose essential not only moisturizes and soothes dry lips; it also calms and heals irritation, soothes the sting of minor burns, helps heal cuts, tames mangled cuticles, helps fix ashy elbows and knees, and minimizes diaper rash. 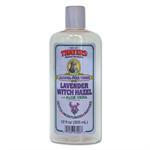 Lavender Alcohol-Free Witch Hazel with Aloe Vera Formula Toner revitalizes the skin with a gentle, soothing formula. Go ahead: treat yourself. 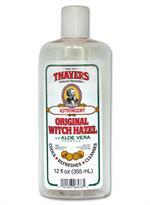 Thayers Witch Hazel with Aloe Vera Formula Astringents and Toner is a soothing, natural treatment that cleanse, heal and preserve your skin. 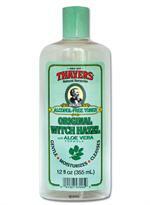 Thayer's Original offers soothing, softening, healing and stimulating skin since 1847. Try our hands-on approach. 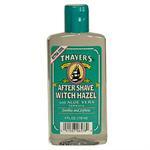 Thayers After Shave Witch Hazel with Aloe Vera Formula reduces post-shaving irritation and leaves skin supple to the touch. And isn’t that touching part why you shave in the first place? 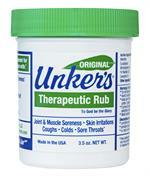 It’s the same powerful formula as the original Unker's Therapeutic Rub, only in a more powerful, highly concentrated form. 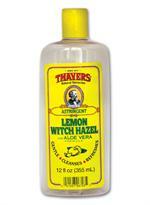 It’s a natural, pure Essential Oils spray. Grease-less. 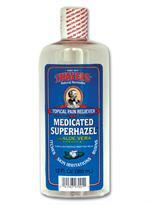 Fast acting and absorbing, so no massaging in is necessary. 16 vintage floral hankies, made of 100% Cotton. For Crafting, decorating, and using! 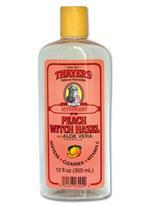 All Natural Goat's Milk Bar- made with a combination of Glycerin & Goat's Milk! Using soap made with goat's milk is not only very beneficial to those with dry & sensitive skin (even those with psoriasis or eczema) 4 Bar Gift Set, Assorted Fragrances. Lavender scented Goat's Milk bar soap is made with liquid goat's milk, oils of coconut, olive, palm, and vitamin E, Natural Glycerin, and natural lavender oil. All natural ingredients, Gluten Free. 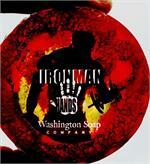 Handmade, high quality bar soap for sensitive skin. Unscented Goat's Milk bar soap is made with liquid goat's milk, oils of coconut, olive, palm, and vitamin E, Natural Glycerin. All Natural, Gluten Free. 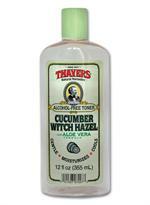 Super moisturizing, great for your skin. Kid and baby friendly formula. Handmade bar soap.